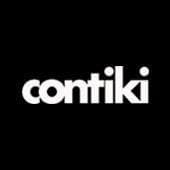 If we had to list all the things about Contiki that make it so special we’d be here all week so instead, lets focus on one particularly juicy element we pride ourselves on: our Special Stays. For those of you who have never heard this term before and are sitting there going ‘whatttt’, allow us to enlighten you. Perhaps the most famous Contiki Special Stay is the Château u de Cruix, in France’s Beaujolais wine region. The 16th Century French Château has been in the Contiki family for AGES and boasts 20+ bedrooms, a stunning outlook of vineyards, a party cave and outdoor pool. It’s the best place for parties and picnics. In the pretty Tyrol village of Hopfgarten we have our very own Gasthof nestled in the mountains. The traditional and exclusive Austrian guesthouse is a stones throw from the slopes and has everything travellers need, from a super cool lounge area, bar, laundry facilities, ski/board and boot storage, free WiFi, and even a sauna. Oh, and we just did it up so it’s even better than before! Contiki’s Swiss Chalet in Lauterbrunnen is many travellers home away from home. Combining the fresh air and perfect silence of Switzerland, along with a cozy 100-bed wooden lodge right in the heart of the Swiss Alps, you’ll never want to leave. Near Peru’s stunning Colca Canyon, there’s a town called Merida and that’s where you’ll find our rustic, charming homestead with views of Inca terraces and mountains. Complete with hammocks and fire pits, this family run lodge is a place to remember. If you travel to mainland Thailand with us you are in for a treat! You’ll spend the night on floating raft huts on the serene River Kwai, in Kanchanaburi. You’ll be able to disconnect from life in a beautiful scenic location and you can jump straight into the river from your own private balcony! The only real way to see Vietnam’s stunning Halong Bay is by boat. We have a Special Stay with Halong Sails that includes an overnight cruise to Halong Bay, on a traditional Vietnamese Junk Boat. Kick back, relax and wake-up amongst the limestone karsts. Southern India’s Kerala Backwaters is a lush paradise, and the best way to see it is to get amongst it with our Special Stay, cruising around the Backwaters on your own private houseboat! Equipped with your own crew who create delicious local cuisine, spend the days watching traditional life on the banks of the canals and sipping cool white wine. Nestled in Thailand’s beautiful Khao Sok National Park, there are wooden tree houses and YOU get to stay in them. Overlooking the Sok River, the peacefulness of the jungle is only interrupted by the cheeky monkeys that live nearby. At the base of the ancient (and still active!) volcano known as Mount Ruapehu, Contiki have a Special Stay in a 100 year old heritage listed building and ski lodge. With such epic views of the mountains, we’ve made sure there’s outdoor hot tubs available. If you’ve ever wanted to live out your all-American summer camp dreams with your besties in a cabin, look no further than our Special Stay on Bass Lake. The resort overlooks a beyond gorgeous lake where every water activity you could dream of is at your fingertips. You won’t believe how good Banff is, but what makes our trips to one of Canada’s hottest spots extra good is our Special Stay at a chalet nestled in the heart of the Canadian Rockies. It’s the best spot to hit the slopes and watch the sunset over the mountains.